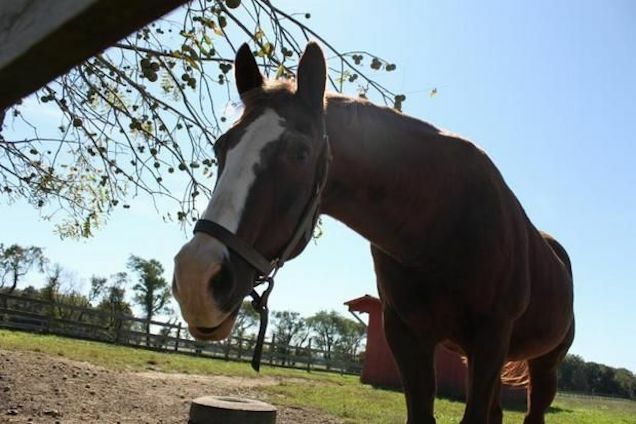 Lord Nelson, a horse who was also a Rutgers professor and a former cop, died Sunday. He was 42. Nelson’s storied career at Rutgers began in 1978, when he was purchased from Roosevelt Sales Stables at the approximate age of five years. After commuting daily from Jersey to train at the esteemed New York Mounted Patrol in New York City, Lord Nelson was hired by Rutgers as its first-ever police horse. The horse worked for the university for more than 37 years, according to the Hunterdon County Democrat, first as the sole member of the Rutger's police department's mounted patrol unit, then as part of the student-run patrol group, and later as an equine professor emeritus who taught children about horses. But it was Lord Nelson’s job carrying the school's Scarlet Knight mascot during football games that would earn him his place in history. During a 1994 Rutgers-Army game, Lord Nelson bolted down the sideline of Giants Stadium and onto the field, drawing the unsportsmanlike conduct penalty. Historians believe this is the first and only time a horse has received a penalty during an NCAA football game. 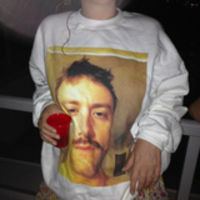 RIP Lord Nelson. You were a better man than I'll ever be.